VOC Port Trust Recruitment 2017 : V.O.Chidambaranar Port Trust has published their recent recruitment for Junior Stenographer Posts . Want to know more details? here you will find more details such as trust pattern of examination, V.O.Chidambaranar Port Trust Syllabus, V.O.Chidambaranar Port Trust Question Paper, V.O.Chidambaranar Port Trust Admit Date Release Date, V.O.Chidambaranar Port Trust Exam Date, V.O.Chidambaranar Port Trust Result Date. Find here all details. 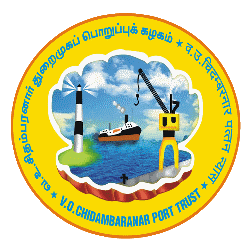 Graduation details are: Bachelor Degree or equivalent from a recognized Institute are Eligible to apply V.O.Chidambaranar Port Trust Recruitment 2017. Age limit range details: Age Limit Should not exceed 25 Years. The Upper age limit is relaxed by 5 years for SC/ST; 3 years for OBC, 10 Years for Persons with Disabilities (15 years for SC/ST PWD’s & 13 years for OBC PWD’s) and for Ex-S as per Govt. of India rules. Candidates Relaxation in Upper Age limit will be provided as per Govt. Rules.